f/5.6 , @1/3200 , ISO -1000. Great pose, Himadri, and the insect is a bonus. Beautiful color throughout. Excellent. a perfectly taken shot with all the details and a bonus on the bee in the beck, excellent. Love the bug capture and pose- lovely colors as well. Nicely done! Another beauty Himadri! Lovely down wing position. 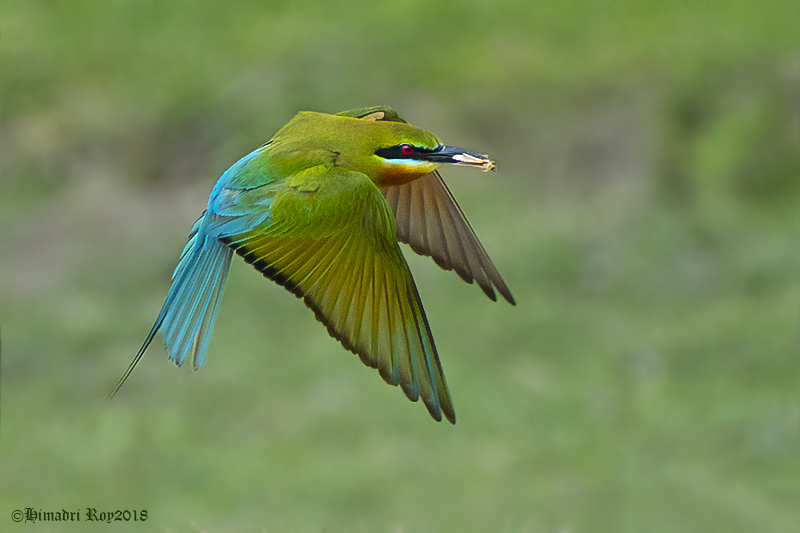 Wonderful pose and a master class in capturing these beautiful birds in flight, Himadri. Wow, such a cool image!! !